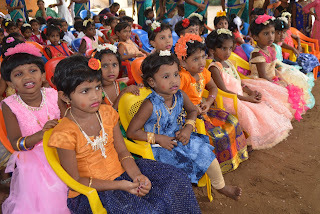 NGO News blog, NewsLine: SEVAI Shanthi Matriculation Higher Secondary School in Pettavaithalai celebrated Children’s day in School premises. 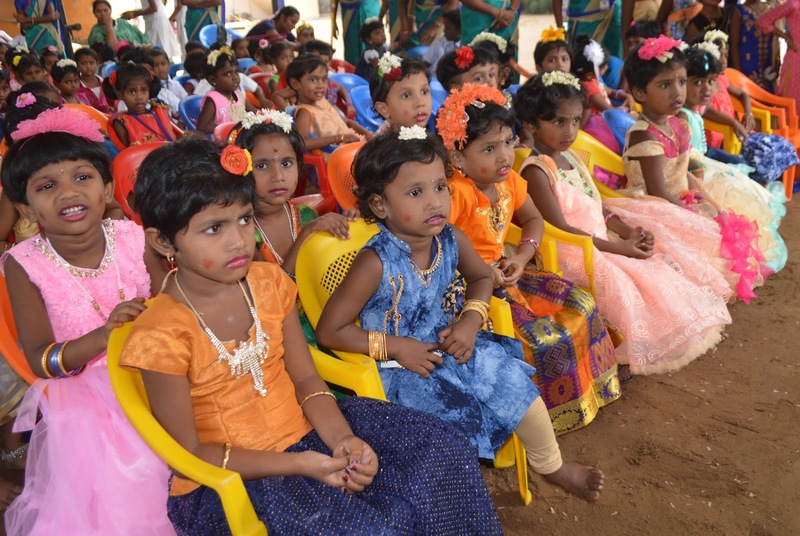 SEVAI Shanthi Matriculation Higher Secondary School in Pettavaithalai celebrated Children’s day in School premises. District celebrated Children’s Day to increase awareness of the rights, care and education of children. It is celebrated on 14 November every year on the birth anniversary of the first Prime Minister of India Jawaharlal Nehru. Nehru had a great love for the children; he wanted to play with them and talk with them. Children's Day is celebrated to honor children aiming at protecting the rights of the children and allowing access to rightful education as Children are like precious gems. The cultural programmes, events and activities especially for children are the main attraction of Children's day. 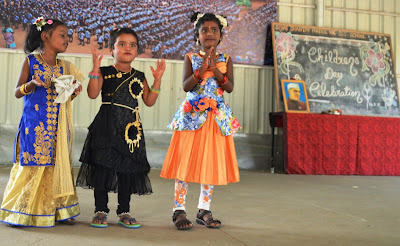 The Vice Principal of the School, Ms.Chitra spoke among the children and gathering, “Children are adorable; they are like divine gifts that parents get from the almighty. Their eyes are full of innocence. They smile when they receive love and admiration, they cry when it is their first day at school away from their parents, they giggle when they mingle with their buddies, and they signify nothing but the pure and faithful love”. Vice Principal added, ‘Nehru was very particular about the progress of the Indian youth. He wanted to create responsible citizens out of young boys and girls He struggled a lot for the welfare of India. It is believed that he admired two things a lot, red roses and children. His love and passion towards children is the reason why we celebrate Children's Day on his birthday. Children are the world's most valuable resource and its best hope for the future. The true essence of children's day is to understand the significance of childhood in our lives. The values and disciplines learned as a child are responsible for the kind of adulthood one has. Thus childhood is special and should be celebrated. Children's Day is to remind all young and adults about children's right to enjoy their childhood without any boundaries and to be educated adult in the future.